Open to young dancers of all experience levels, Arts Umbrella’s General Program offers a variety of programs for dancers ages 6 to 12. Our programs are ballet-based in order to develop the strength and understanding necessary for long-term success in Arts Umbrella’s dance programming. Experienced dance teachers and accomplished dance artists make up our wonderful faculty, who guide dancers throughout the year. Ballet and Modern classes are accompanied by sought after dance accompanists to create a quality program for young dancers. Arts Umbrella Dance classes focus on the young dancers as a whole person, emphasizing physical, emotional, and intellectual development throughout the year. 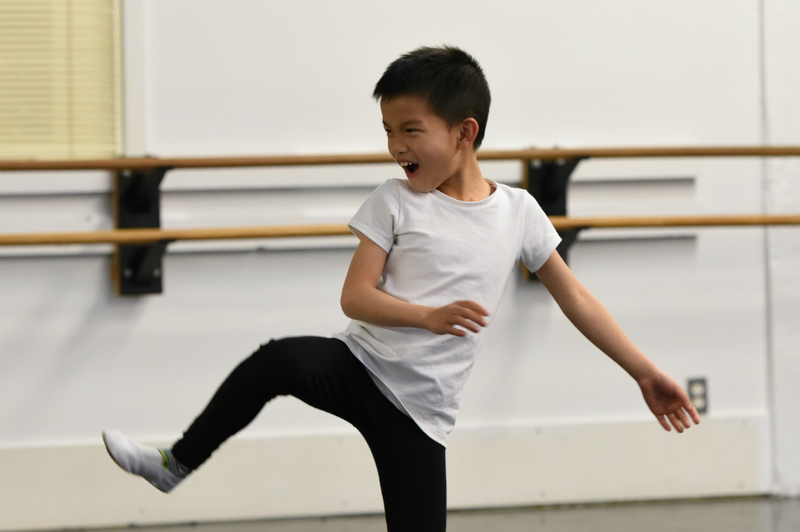 We celebrate the achievements of our dancers at the end of the school year with our year end Recital performed at the Vancouver Playhouse in June. Placement is determined by academic grade. For example, Level 2 dancers are in Grade 2 and do not need to have completed Level 1. 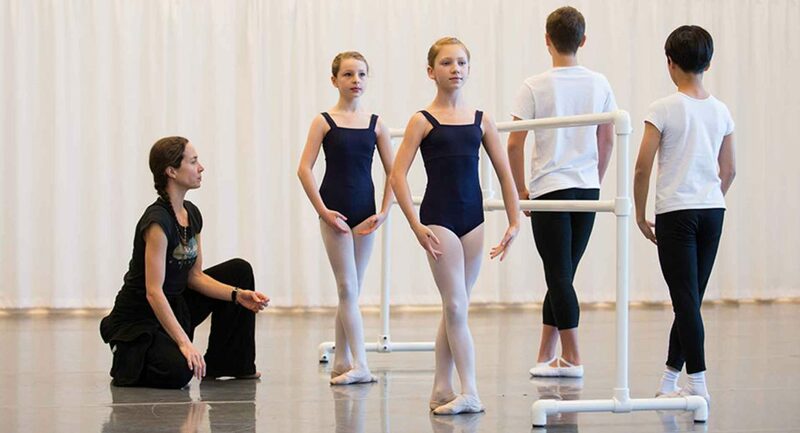 All levels are required to take at least one Ballet class per week. Other dance techniques such as Jazz, Character, Contemporary, Conditioning, and Cecchetti Exam Preparation are introduced as early as Level 2. Younger students attend 1 to 2 classes per week, gradually increasing to 4 classes by Level 5. Dancers interested in a more committed schedule can be recommended for the Level 3-5 Intensive Program, after Level 2, or the Pre-Elementary Program, after Level 5 or 5IP. Dress Code: Click here for detailed dress code information. Leotards, tights, and socks (for girls) or shirts, shorts, and socks (for boys) are included in tuition fees. Additional orders can be made by emailing Siân Morris, Costume Coordinator, Dance. Click here to learn more about our faculty and accompanists. Dancers can audition for the Afternoon Professional Training Program or the half-day Professional Training Program. Dancers interested in a less committed schedule can register for the Teen Program.